I remember the first time I ever set foot in a plane. I was 10 years old. It was, without doubt, the most exciting day of my life. …Four decades later and the gilt-edged glamour of air travel has, I’m sorry to say, lost much of its childhood sparkle. Nowadays I am more likely to have my face pressed up against the back of the seat in front of me than the window and I often find the onset of mid-air turbulence a welcome respite from the interminable monotony. One thing that I have never really worried about though is the risk factor. The current statistics put the chances of me being killed on a flight at around one in 4.7 million, so I figure I probably still have some way to go before the numbers really start stacking up against me. Indeed, given that I invariably have to travel cattle class, the odds are very much in my favour. If, like me, you usually have to turn right when you reach the cabin door, take comfort in the fact that you have a statistically better chance of surviving a crash than those sipping champagne in First Class. Current data gives them only a 49 percent chance of survival, whereas those languishing in economy have between a 56 and 69 percent chance of walking away from a serious accident. Indeed, the further back you are, the better your chances. Of course, as with most things, it isn’t quite that simple. There are other factors to take into account as well and, if you want to seriously improve your chances, then it is worth giving them some thought before you settle down to your in-flight movie and complimentary gin and tonic. 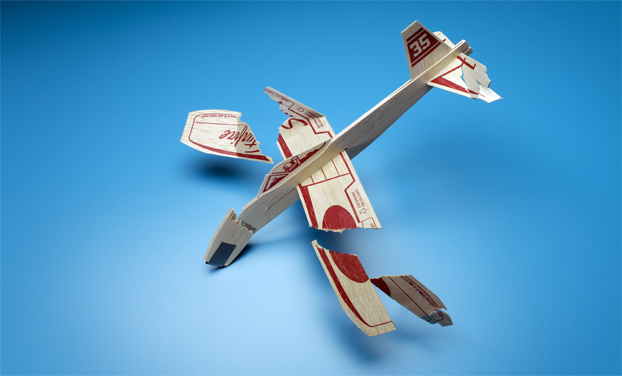 How many of us really pay sufficient attention to the pre-flight safety briefing? Did you check where the emergency exit was when it was pointed out to you for example, or were you too busy checking in on Facebook? It has been proven that your chances of survival drop significantly the further away from the exit you are and, if your seat is more than five rows away, then your survival rate drops considerably more. Of course, this does presuppose that the flight has not been targeted by terrorists, in which case, you might want to avoid the extra legroom afforded you by the emergency exit seats…It would seem that your average modern hijacker prefers the spacious comfort and all round convenience of these rows. You may also want to pay a little more heed to the seemingly irrelevant information on fastening and unfastening your seatbelt too. Crash investigators have proved that during the panic of an air crash people tend to revert to type, invariably trying to remove their seat belts as if they were in their own car and not aboard a flaming aircraft. This, as you can imagine, often makes the difference between surviving a crash and not. The good news though is that once you are airborne and underway, the chances of a fatal mid-air crash is only around 8%. However, coming into land is another prospect altogether. An aircraft’s final approach and landing accounts for some 36% of fatal accidents so, with that in mind, you might want to consider just how much you are saving by flying via Madrid, Miami and all points west, rather than paying the extra for direct flights and thereby reducing the odds on a traumatic demise. All said and done though, statistically air travel is still one of the safest forms of transport. Let’s face it, you’ve got more chance of being run over by a pig than dying in a plane crash, so I wouldn’t lose too much sleep over these stats. There can be few places in the British Isles more steeped in myth and legend than the ancient shores of the Isle of Man. Ruled over by a legendary Celtic sea god, our seemingly innocuous island is positively awash with malevolent spirits, faeries, salivating hounds and…vampires. Not for us though the pasty-faced anemics that haunt the world of Twilight. No, our vampires come with chains and spikes! In the grounds of a whitewashed church on the outskirts of the island’s old capital, Castletown, lies the grave of one Matthew Halsall, vampire of this parish. Now, the unfortunate Mr Halsall died in 1854 and, as is custom in these parts, his passing was commemorated with much drinking by those left behind. During his wake however, legend has it that the corpse emitted a haunting groan from within the coffin. Fearing that they were about to bury poor Matthew somewhat prematurely, the mourners rushed to open the coffin…to find a very dead corpse inside. Obviously common sense soon prevailed…and Matthew Halsall was declared a vampire, promptly staked through the heart and sealed up again! 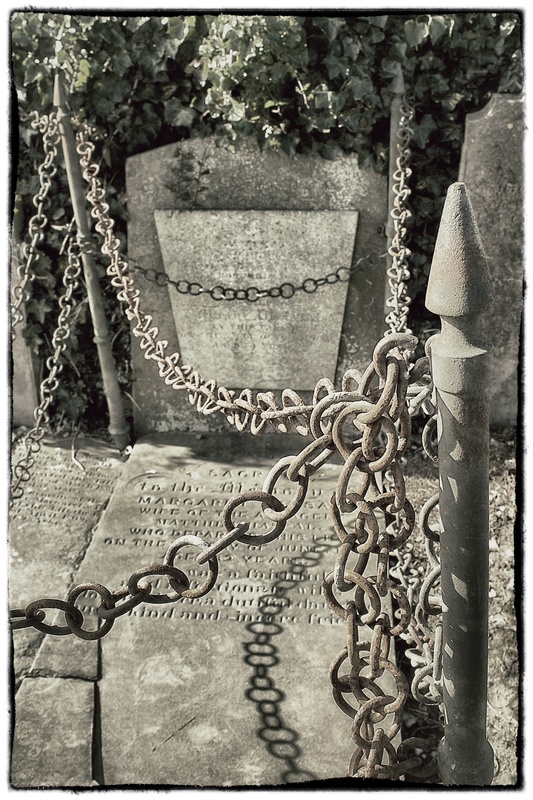 Today he lies under a heavy slate slab in Malew Churchyard, in a grave crossed with heavy metal chains and staked on all four corners with iron spikes. 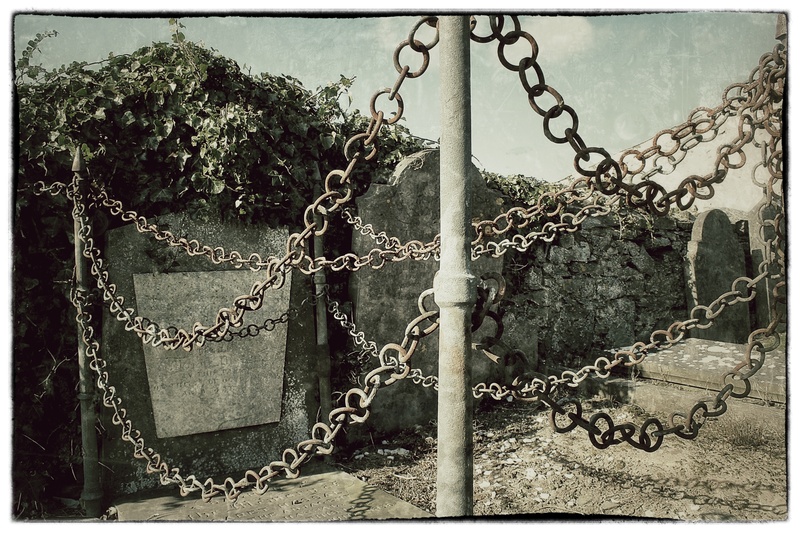 No-one really knows the reasons for the chains, although the legends that abound in these parts declare them to be deadly to the fairy-folk and those of a…supernatural persuasion. It is also rumoured that when the spikes were once removed, the ghostly form of Matthew Halsall rose from his grave to haunt the graveyard. Suffice to say, common sense prevailed once more, the stakes were driven back in and Matthew Halsall has not been seen again to this day.